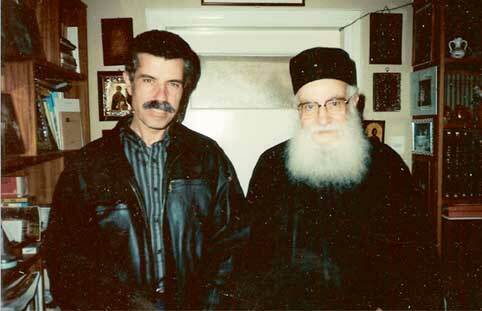 We are going to begin by saying that our views are based entirely on Archimandrite Nektarios’ interpretation of the Apocalypse to which we subscribe entirely, and that this article is only intended to bring a little more clarification and understanding to what has already been said. 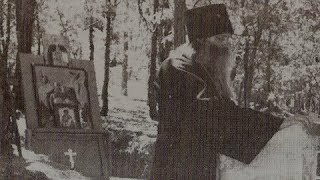 In his commentary, Archimandrite Nektarios talks about the beast (Rev 13:1) that has seven heads and ten horns with crowns. The beast’s heads doesn’t have crowns, but the crowns are on the horns instead of the heads, which means the heads do not lead any more – because they do not wear crowns – but the horns do. Horns are the 10 banks that are empowered to rule. In our commentary we would like to focus our attention a little more on this beast and try to go into a little bit more detail to see if we can better understand what it is. Besides this correct interpretation, we can also observe another one, a very striking similarity with the events that have taken place in the world from the beginning of the 20th century. The verse describes a beast that “was, and is not, and yet is”. 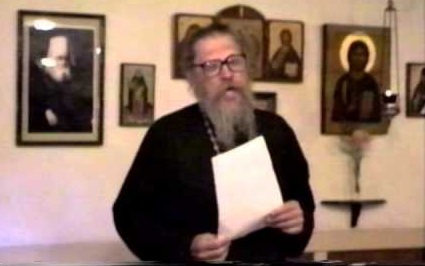 From the teaching of our Holy Fathers (and which subject we covered extensively on our website) we also know that this “red beast of the apocalypse” is the Communism which started in Russia and was designed to destroy the Orthodox Church. Rev 12:3-4 And there appeared another wonder in heaven; and behold a great red dragon, having seven heads and ten horns, and seven crowns upon his heads. 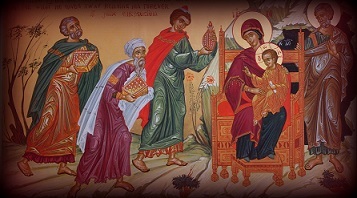 And his tail drew the third part of the stars of heaven, and did cast them to the earth: and the dragon stood before the woman which was ready to be delivered, for to devour her child as soon as it was born. Rev 12:13-14 And when the dragon saw that he was cast unto the earth, he persecuted the woman which brought forth the man child. And to the woman were given two wings of a great eagle, that she might fly into the wilderness, into her place, where she is nourished for a time, and times, and half a time, from the face of the serpent. 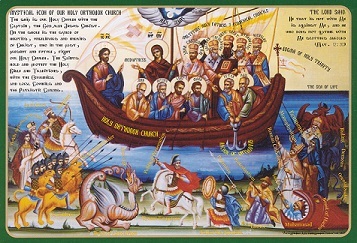 Our Holy Fathers say that the restraint holding Satan bound (having limited powers) for a thousand years (meaning for a long time, that is before the first and second coming of Christ) was taken away with the murdering of the last Orthodox Emperor (since Constantine the Great), Tsar Nicolai II, which happened around the time Communism took over in Russia. 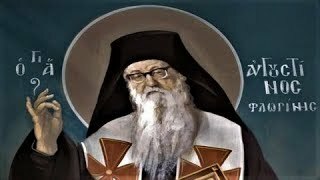 This “red beast”, the Communism, started to persecute the Orthodox Church but She was “given two wings of a great eagle, that she might fly into the wilderness” where she would be protected for a while. 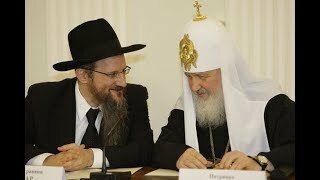 This, in the understanding of the Holy Fathers was, the establishing of ROCOR outside Russia and The Catacomb Church inside Russia as the true two Churches that would carry on the true faith, away from the reach of this beast, which had already devoured Moscow Patriarchate through Metropolitan Sergius’ betrayal – please see our previous article on this subject. 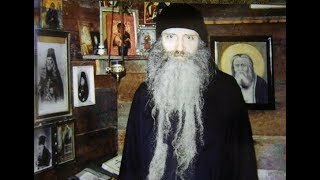 As a result of this war on the Church and the Saints, many Holy Martyrs, confessors of the true Church of Christ died in the Orthodox countries in Eastern Europe that fell under the rule of this beast. 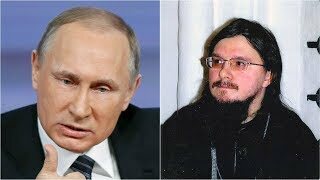 The second clue we are going to use in our assertion is Elder’s Ignatius prophecy who said that what started in Russia will end in America, meaning Communism. And now let us get back the original question: what is the beast that “was, and is not, and yet is”? We know that the Communism fell in 1989, that it ended in 1989. That means the beast that was, and now is not, it has disappeared. But according to the prophecy, the Communism will return into the world, in America, in the West. 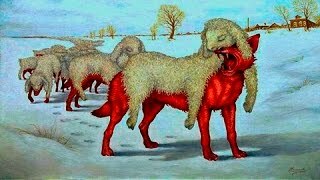 That now becomes the beast that was, and disappeared, and reappears – in fact it already has – look at what is happening in the West today! Also, very important, who is the Dragon of the Apocalypse?